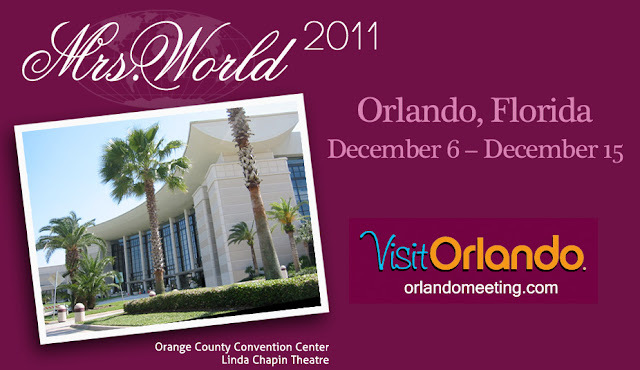 The Concept for "Mrs. World" has its roots in one of the oldest and most respected of all competitions- "Mrs. America." That extravaganza was reorganized by David Marmel featuring a more contemporary and glamorous approach. While beauty is the key element, contestants are also urged to voice their opinions about marriage and current events. All married women - young wives, mothers and even grandmothers - are eligible to participate. By providing this unique forum, in which delegates from around the world can come together and share a common purpose. "Mrs. World" successfully fosters greater communication, friendship and mutual understanding among all people. Over the years, "MRS.WORLD" has been produced in many fascinating locations around the world including: Queensland; Australia; Jerusalem; israel; San Jose; Costa RIca; Honolulu; Hawaii (4 years); Las Vegas, Nevada (3 years); 2005, Amby Valley, India near Bombay; 2006 in St. Petersburg, 2007 in Sochi Russia and 2008 in Kaliningrad, Russia, and the 2009 international broadcast of Mrs. World originated from Ba Rua Vung Tau Province, Vietnam. December 2011 the Mrs. World competition will be held in Orlando Florida.